Pediatric care requires a dedicated physician who focuses on wellness and prevention, making sure your rapidly growing child is healthy. Dr. Jordan Le Tran at Virginia Integrative Medical in Winchester, Virginia, is a family medical practitioner focused on preventing illness and promoting overall good health in children. To keep your growing child strong, schedule an appointment with Dr. Tran. Call the office or use the online booking tool. Does my child need an annual checkup? Pediatric care requires a dedicated physician who focuses on wellness and prevention, making sure your rapidly growing child is healthy. 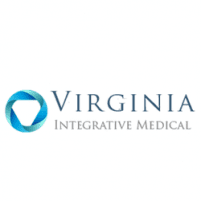 Dr. Jordan Le Tran at Virginia Integrative Medical in Winchester, Virginia, is a family medical practitioner focused on preventing illness and promoting overall good health in children. To keep your growing child strong and healthy, schedule an appointment with Dr. Tran. Call the office or use the online booking tool. Your child’s appointment is also a good time for you to discuss any concerns you may have about your child’s health, such as their diet or a recent illness. Dr. Tran also may update your child’s immunizations during the annual checkup and make recommendations for diet, physical activity, or supplements, as needed. Dr. Tran at Virginia Integrative Medical does his best to help ensure your child doesn’t get sick, but you can’t always prevent a cold or an ear infection. If your child is sick, Dr. Tran can evaluate your child and provide treatment recommendations to help them feel better. Dr. Tran also offers minor surgery at the office, so if your child has a cut that requires stitches, he may be able to stitch it up so you can avoid a trip to the emergency room. How can I prevent my child from getting sick? The focus of Virginia Integrative Medical is to prevent illness and disease, which can be prevalent during childhood. Teaching your child to make good choices may help prevent illness now and as an adult. While you try to do your best to protect your child from getting sick, it’s impossible to prevent every illness and injury. Dr. Tran at Virginia Integrative Medical works with you to help create the safest and healthiest environment possible for your child. Call the office today or schedule an appointment online for wellness-focused pediatric care.